If you are renovating your office or opening a new office, you need to buy furniture depending upon your requirements. Office furniture is not much different from what you use at home as the basic principle behind furniture remains the same. In fact, if anything, office furniture is chosen on the basis of its functionality and good looks. Another factor that plays an important role in the selection of office furniture is the space saving design. No matter what type of furniture you are looking to place in your office, just stick to the budget you have in mind. Office furniture is available in a huge variety with different shapes and sizes to suit your requirement. If you are confused or feel overwhelmed by the wide range of furniture items, the best place to have a look and compare the features of various furniture items is internet. Office furniture is mainly comprised of desks, chairs, seating system for the visitors, sofa sets, storage cabinets, conference table, and so on. You have to go according to the space available and your budget but also keep in mind the comfort of your employees while selecting furniture items. You do not want to your employees complaining about the quality of furniture, do you? Your search for high quality yet affordable furniture that is also eye catching ends at internet. Here you can browse and compare the features and prices of furniture items and do the shopping from the comfort of your own home. Make a list of your requirements such as the space measurements, the quantity of furniture items, the price range in which you want to buy furniture, and the fabric along with color that goes well with the overall décor of your office. This is necessary to save on your time and effort that you make in looking at various designs and colors of furniture items. On some websites, you have the option to buy second hand or used furniture items. 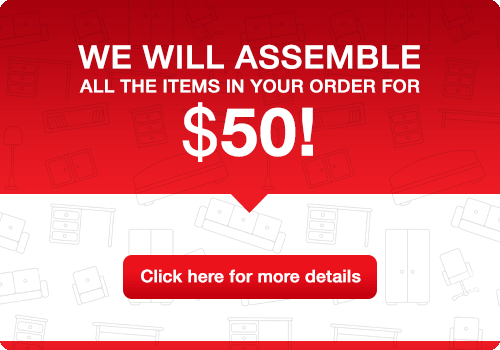 You can definitely consider these items as they are available at a fraction of the price of new furniture item to fit. If you are just opening your new venture, it is prudent to give second hand furniture a look as it saves you a lot of your hard earned money. Buying office furniture online can be overwhelming for most people, especially if they are doing it for the first time. This is because of the fact that you get to see pictures of the furniture items and do not get a chance to feel the items physically or check on their comfort level by sitting on them. However, you also stand to save a lot of time and money by buying furniture online. As such, you need to be cautious and alert when buying online to get affordable yet high quality furniture that is not only durable but also very attractive to look at. Before starting your massive hunt of office furniture online, make sure you understand the furniture requirements of your office. This includes writing down the details on a piece of paper so as to not make a mistake while finalizing and buying furniture items from a website. There have been cases where people have ended up wasting their time and money by buying furniture items that did not fit in the empty space available in their office. Also, some furniture items look great when viewed in isolation but do not work out as great when put in tandem with other furniture items inside the office. This means that you have to take into consideration not just measurements but also the color of the walls, the curtains, and the overall ambience of the office before finalizing furniture items. Whenever you are confused, take a look at your checklist to strike out a furniture item if it does not match with your requirements. There are so many options in front of you when browsing furniture items for your office that it becomes hard to keep track of features and prices. Different websites have different furniture items that have price variations and also differences in their features. You can make a comparison chart on a notepad to narrow down your search and arrive at a very small list of companies to choose your furniture from. If you are not sure about the quality of office furniture but impressed by the pictures that you see on the website, the best thing to do is to check out the reviews of the company that are available on the internet. Although many websites plant favorable testimonials on their sites, you can still get an idea about the quality and the price of the furniture items if you can get through to actual buyers of the company. Most of the websites selling office furniture these days have a helpline in the form of live chat that works 24X7. This is done to satisfy the queries in the minds of the buyers and to help them reach a decision in a smooth manner. You can easily get answers to the doubts that arise in your mind so as to buy the correct office furniture that matches your requirements. If you are buying office furniture online for the first time, it is natural for you to have some apprehensions in your mind. Most of these are regarding the reputation of the company and the reliability of the quality of the furniture items. In such a case you can always ask your close friends and relatives for their recommendations of online companies. This way you can rest assured about the quality and price of the office furniture that you buy online.